Should Bikers Swerve, Brake or Ride Right Over an Object? 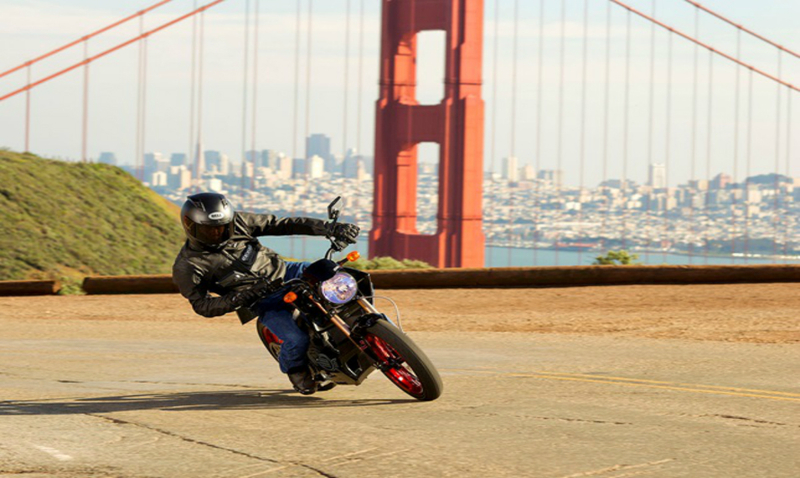 Motorcycle riders unfortunately sometimes are faced with a critical decision on whether to swerve, brake or ride right over an obstacle in their path. What should you do? Sometimes braking or swerving isn’t right if there’s a car tailing you hard or a vehicle right next to you. In these situations, experienced riders recommend going directly over the top of a small object in your path. Obviously judgment is needed—you don’t want to attempt to go over the top of a large object. Some people advise accelerating at the last second to lift the front tire, but the Motorcycle Safety Foundation advises against accelerating. Downshift and slow as you approach the object in your path, while being aware of anyone following behind you. Make sure drivers behind you know you are slowing. The Motorcycle Safety Foundation advises to rise up on the foot pegs and shift the body back on the bike as you approach the object and when the front wheel is on it. Then shift your body forward when the rear wheel is on the object. Do not lock your knees. Try to hit the object straight-on by lining up with it as much as possible. If you hit the obstruction at an angle the likelihood of crashing is much greater. If you’re coming around a curve and see an object in the road, straighten out the motorcycle and hit it head on. Do not brake when going over an object. Hang onto the handlebars with a tight grip. Whatever you do, practice braking and swerving before you’re in a critical situation. Swerving can be very dangerous because you very well may swerve right into the path of a nearby vehicle. Abrupt, emergency braking has its dangers, too, and should be practiced before you get into a situation before you need to do it. Experts recommend practicing emergency braking and swerving when no one else is around, on an empty road or in a parking lot where you don’t have traffic to deal with. Brake optimally every time and slowly build up your braking skills, keeping it under your bike’s wheel lock points. It is possible to practice this on the road, by braking more aggressively than required for yellow lights, when conditions (weather, traction, following traffic, etc) allow this to be done safely. With practice, you can probably learn to stop in less than 150 feet from 60 MPH, including reaction time, in optimal conditions. This will put you in the top one percent of riders. Take it slowly, brake progressively and keep it within your and your bike’s limits as you build up your skills. That Web page has tips on swerving, too. The article recommends practicing on manhole covers or on cones in a parking lot. BikeSafer.com tips include staying within your lane when you swerve and not applying the brakes at the same time you swerve. “Swerving is simple,” BikeSafer says. “First counter-steer in one direction, pass the obstacle, then countersteer in the other direction to resume your previous direction of travel. It should be done without braking and with suspension in a neutral position, if possible, so that the suspension has travel available up or down to deal with road irregularities without instability. If you need to combine emergency braking and swerving, first do one and then the other; it’s two separate things. You would prefer to swerve first without braking, then brake later, rather than the other way around. Another type of road hindrance, says the Motorcycle Safety Foundation, are the metal meshes on bridges. The MSF recommends keeping a steady speed, keeping the bike straight and not gripping the handles too hard. If you feel vibration in the handlebars, don’t fight it. Also, animals can present a problem, whether they’re in your path, chasing you or trying to intercept you. The MSF recommends slowing down well before you reach the critter; never kick at it; and if he’s about to catch you, accelerate at the last minute to throw the animal’s timing off. Remember, deer travel in pairs. If one jumps far enough ahead of you that it’s no problem, its mate may follow soon after. Another “object” motorcyclists contend with on the roads is rain. The Motorcycle Safety Foundation advises bikers to pull over for 15 minutes so any oil on the road surface can be washed off, and slipperiness is reduced. In the time it takes to have a cup of coffee and put on the rain gear, the rain may even end in that time. Traction is not as good as on dry roads, so be very careful. If you do get in an accident, especially if it’s a collision or if another driver causes you to spill, the motorcycle accident attorneys of Krasney Law of San Diego and San Bernardino can help you get the compensation you deserve. We can advise you on the laws, how to proceed with insurance companies and assess whether your case would be a good one to bring a lawsuit if there were negligent parties involved in your crash. Our phone number is (909) 380-7200. Or you can contact us on the Web: http://krasneylaw.net/contact-us/. The initial consultation is free, and we collect no fees unless there is a monetary recovery or your case goes to trial.